HR ProFile, Inc. is an international company providing pre- and post-employment screening, drug testing, and security consulting services. Founded in 1991, HR ProFile was among the first firms in America to realize the need for a company that exclusively provides employment screening services. Our clients range from businesses with fewer than 50 employees all the way to Fortune 500 companies. HR ProFile clients operate in all business sectors including healthcare, banking, hospitality and food service, manufacturing, and retail. Through the years, we have set high standards regarding work ethic, information security and accuracy, user simplicity, turnaround time, ethical and defensible information retrieval, quality assurance, and creative support. We take great pride in our sensitivity and understanding of the difficulties within the employee hiring and retention process. We start by laying a solid foundation of fundamentals including: communication, integrity, quality, confidence, and trust. We build on this foundation by demonstrating consistency in these areas as well as by identifying changing client needs. HR ProFile has developed an easy-to-read ProFile Repor that allows our clients to view and comprehend our search results quickly. Our entire background check process is appreciated by novices as well as seasoned veterans in human resources, security, safety & loss control, etc., who expect a no-nonsense solution customized to their specifications. By identifying the immediate and long-term needs of our clients, we find the best solutions among the growing complexity of issues presented by a global economy. 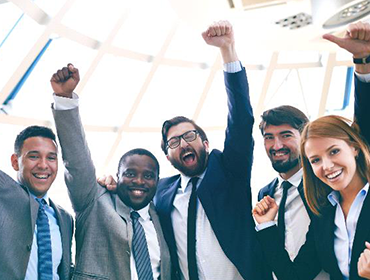 Our shared success will be realized when our clients know that we deliver exceptional background checks with the benefits of improving retention, lowering costs, achieving compelling results, and becoming a long-term business partner.